First 75 online ticket orders of $50 or more receive a free 20 oz ROCK4RV tumbler (stainless steel, double wall insulated). $20 value. Limit one per household. Must collect at FTC box office at ROCK4RV event. 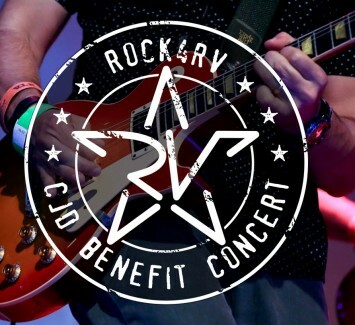 10th Annual ROCK4RV CJD Benefit Concert in memory of Robert (Bob) Vitanza, who succumbed to Creutzfeldt-Jakob Disease (CJD) in 2008. All funds raised will be donated directly to the CJD Foundation, Inc. (http://www.cjdfoundation.org), a 501(c)(3) organization that is committed to supporting individuals and families affected by this rare and fatal brain disease. Please join us on the path to find a cure! Bands: Alive ’75 (the ULTIMATE tribute to KISS), Simple Jim (with Mike Vitanza), Shameless (party rock) and the School of Rock Fairfield All-Star Band (talented musicians ages 7-18). Other: ALL AGES with food trucks, photo booth, face painting, silent auction, raffles and much more! Feel free to spread the word and thank you for your continued support and generosity!